The Multicultural Student Services Center at George Washington University (GW) will begin hosting weekly diversity training sessions this month. The trainings will run from September of this year through January 2017. Students who attend at least eight of these weekly training sessions prior to graduation will be rewarded with a diversity graduation cord and a certificate of completion. The topics of the training sessions are pulled directly from the playbook of the far Left and notably lack any reference to ideological diversity, a concept GW students have struggled to embrace. In 2015, GW YAF was targeted by liberal students for speaking out against mandatory sensitivity training. As an organization comprised of many Christian and conservative students, the training would not have been tolerant of their religious beliefs. 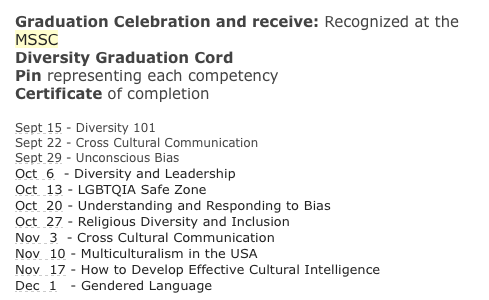 Will the”Religious Diversity and Inclusion” training this year be inclusive of conservative views? Given the university’s track record, the answer is likely no.